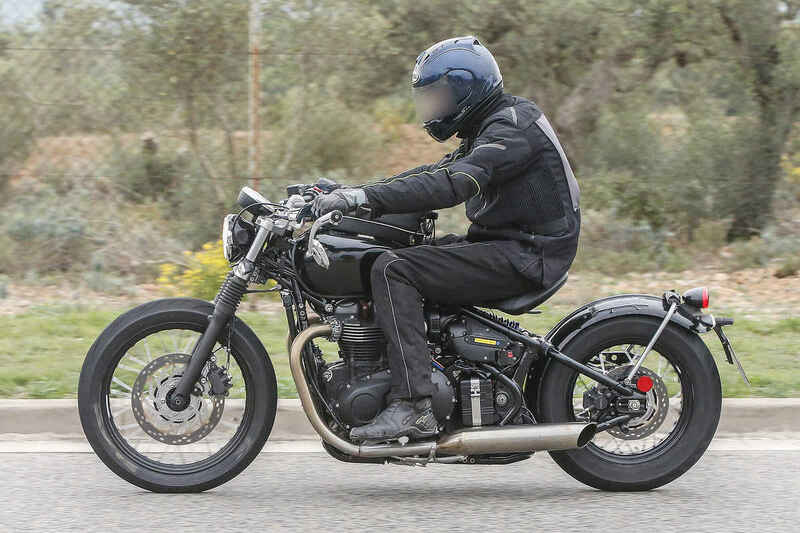 Extensive modifications would be required to back-half a new Triumph Bonneville and give it the rigid-frame look that has made the Harley-Davidson Softail platform so immensely popular. 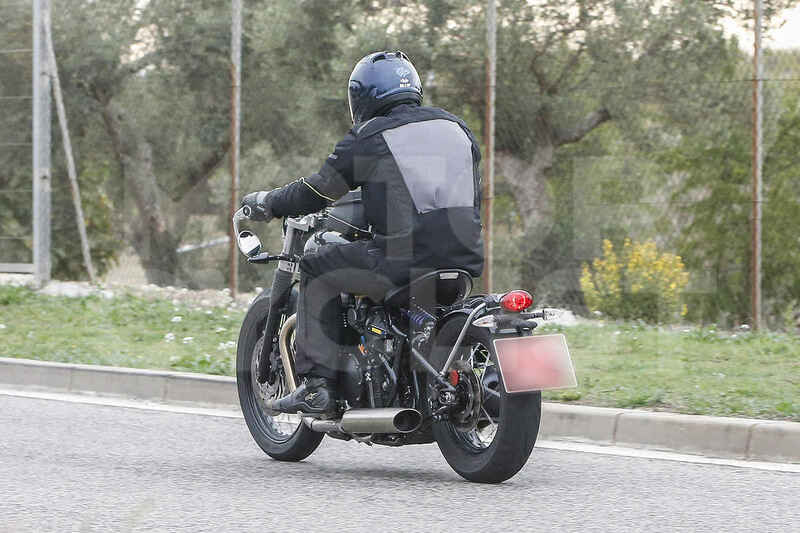 We can only surmise that Triumph’s design team has bent many lengths of steel tubing in the process of developing this prototype Bobber, spotted on a test run recently near Triumph’s design headquarters. While displacement is a question mark (will it be the 900 or the 1200? ), the Bonneville Bobber appears to share the current liquid-cooled parallel-twin engine as the current 2016 model, but it’s the back half of this Bonneville variant that piques our interest. Suspension appears to be a single-shock located beneath the solo seat with a triangulated swingarm pivoting just above axle height. 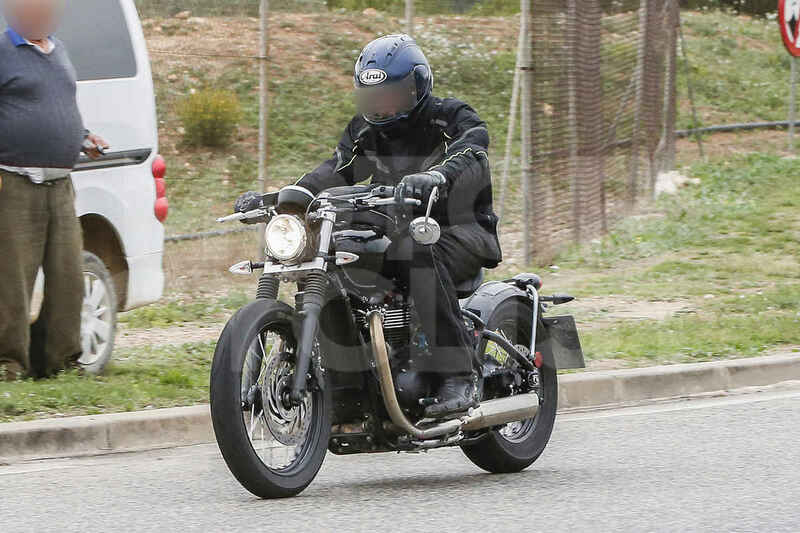 In truth, this bike has been spied before, but its reappearance suggests that Triumph is putting the finishing touches on it for a debut as a 2017 model, though there’s always a possibility that we might see this as a late-release 2016. The question is, will Bonnie fans be curious enough to wait for a production Bobber? Give us your comments below and tell us what you think.